Get the best of all worlds with this unforgettable Crescent Crown assorted gem bracelet. An impressive strand of Sky Blue Topaz, Neo-Turquoise, and London Blue Topaz astonishes, all while being flawlessly joined together by the cool shimmering texture of the elegant silver setting. Completing this incredible piece is Tacori’s signature 18k yellow gold seal. 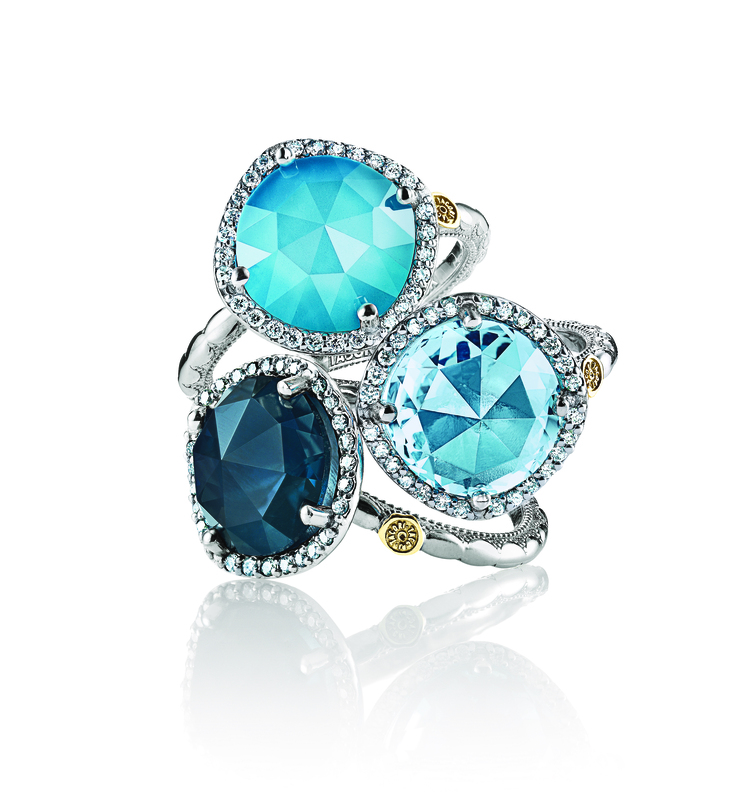 She’ll be anything but blue with this dazzling assortment of gems decorating her wrist.